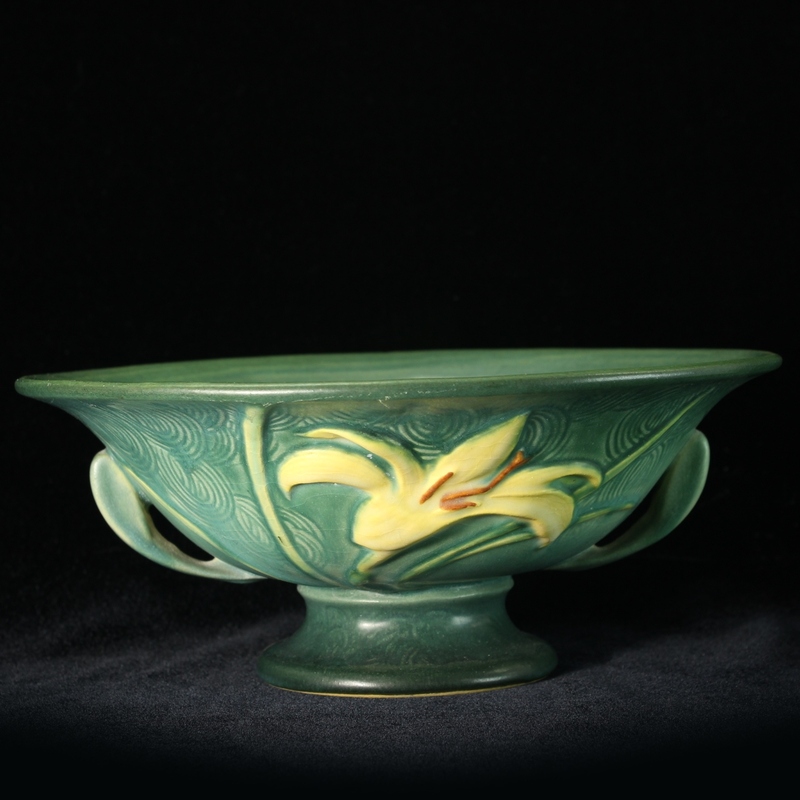 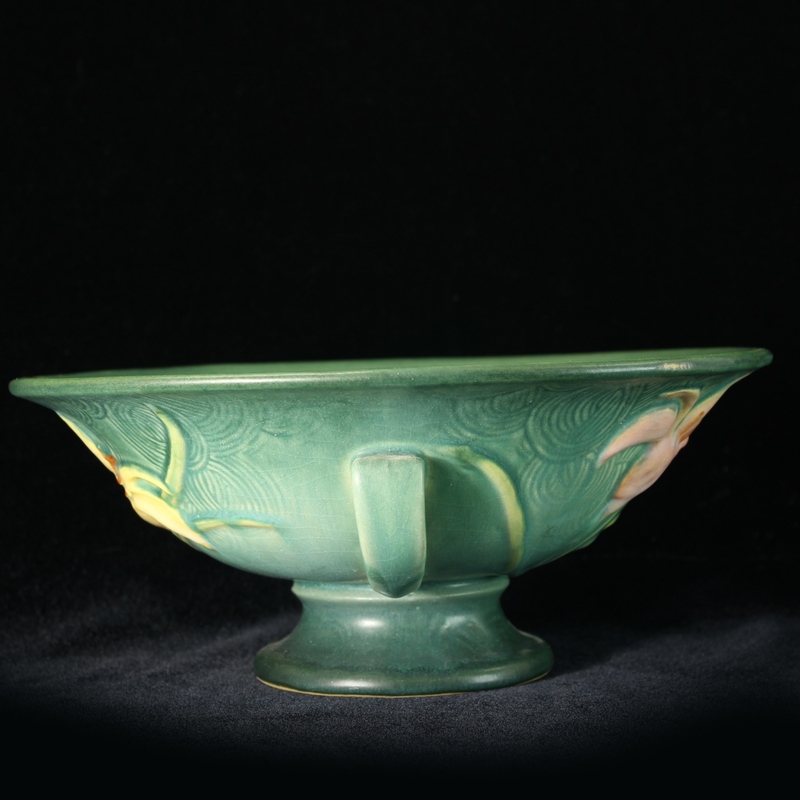 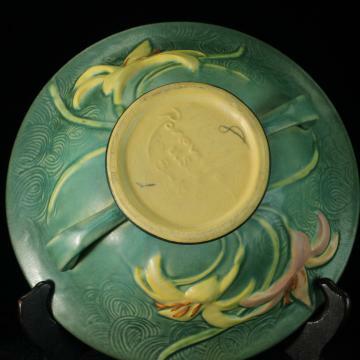 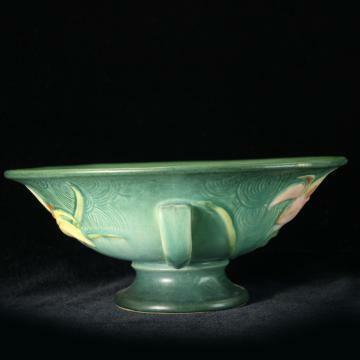 Description: Roseville Pottery Zephyr Lily green compote #8-10. 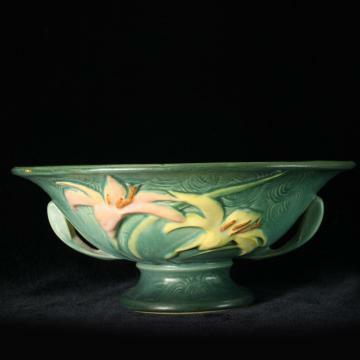 Zephyr Lily was introduced by Roseville Pottery in 1946. 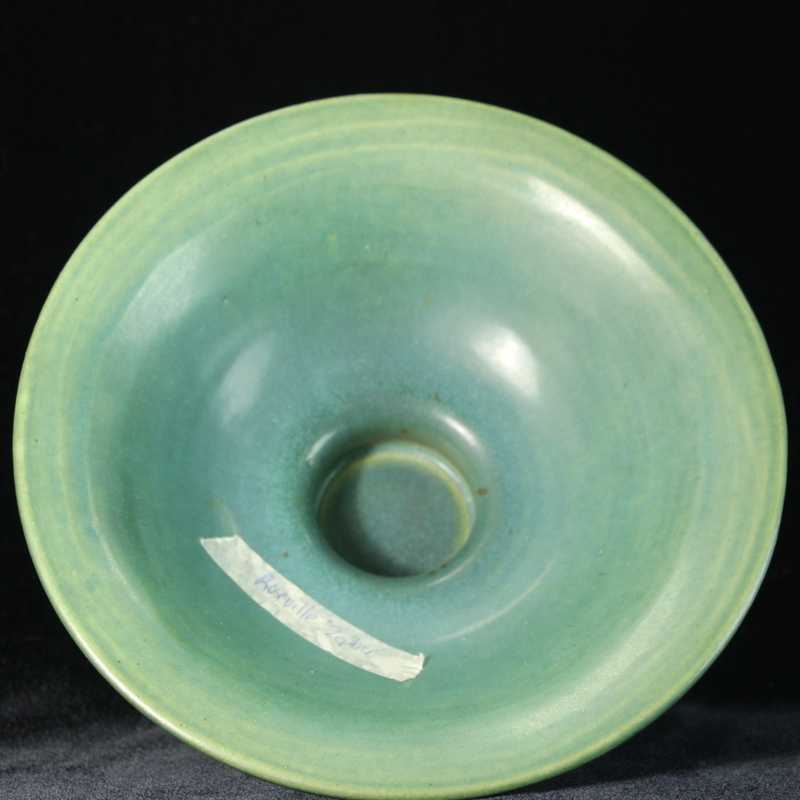 Colors included blue, green, and brown. Green is the color most sought after by collectors.